The City of Meerut is a well-known ancient town, in Uttar Pradesh. The city is famous for having major tourist attractions like Jain Temples, Nauchandi Mela, Mansi Devi Mandir and much more. Located at a distance of 70 Km from Delhi and 453 Km from Lucknow, makes it the most preferred destination by all types of travelers, be it family, kids and couple. So, whenever you visit the city, do check out our List of Best Restaurants in Meerut. Bangalore/Bengaluru also known as ‘Silicon Valley of India’, is the capital of Karnataka. The city is famous for having major tourist attractions like Cubbon Park, Tippu Sultan’s Summer Palace, Wonderla and many more. Bangalore is considered a hub of Multinational companies, as a large number of people from villages and towns travel to Bangalore in search of employment. When comes to food, Bangalore is famous for its mouth-watering jalebis, mosaru kodbales, piping hot dosas and cool glasses of juice or buttermilk. Also, Bangalore is the home of several restaurants serving authentic Korean food like one-pot Bibimbap, Korean-style Barbecues, tangy Kimchi and much more. Our picks on Best Korean Restaurants in Bangalore are listed below. This is the best fine dining restaurant in Meerut, which is open for 24 hours. They serve multi-cuisines including North Indian, American, Italian and Chinese in very hospitable and friendly way. 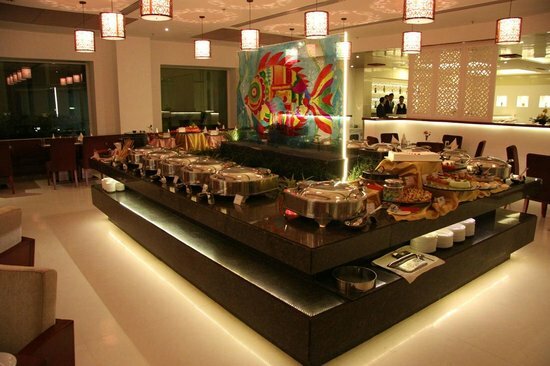 Also, they have a buffet option available which includes a variety of food to satisfy any kind of appetites. Marwadi Bhoj is considered as one of the most popular and loved restaurants of Meerut. They specialize in serving only Vegetarian food which is prepared in pure ghee without the use of onion and garlic. There most famous item sold are thalis, also the food is cooked in traditional Indian way n ladki ka chulha. The restaurant offers a separate party menu and also hold wedding and birthdays. This spot located at Brigade Road offers friendly staff with delectable Korean dishes. This is the most loved place to visit for all Korean lovers. They specialize in Dolsot Bibimbap, which is a rice dish, containing veggies and meat in a chili sauce. This spot located at Indiranagar is a well-known Korean restaurant mainly known for its ambiance and mouth-watering food. This place has a custom which involves sitting with your feet tucked in around wooden tables on the grill. They specialize in Kimchi, Korean Soju, Korean Style bacon, and beef.